While applying the patches, I wanted to script the process so patching would be consistent across all our servers. I pulled the scripts into a GitHub project for sharing and reuse. If you haven’t scripted a WebLogic patch, this would be a place to start. The scripts use PowerShell and built for WebLogic 10.3.6. So, they use SmartUpdate instead of OPatch. I also added in a Java patch to the process too. You could pull out the Java patch script to use by itself. One more note: all the patches, Java, and scripts were set to run from the folder e:\installers\weblogic1036-2015-CVE-Patches. If you use these for your environment, or just use them as a template, you’ll want to update those paths for your specific configuration. There is nothing ground-breaking about these scripts 🙂 I can write scripts, but I’m not the best script developer out there. If you see places where the scripts need improvement, file an issue with the project or submit a pull request! The main goal with this project and post is to get others started with scripting. Scripting, even if the scripts are basic, can benefit administrators. I hope that this quick overview might help someone get started. installNTService script, you may need to shut them down by hand. This script performs tasks to prepare different files for patching: On our servers, two files needed updates to run the Smart Update utility. registry.xml needed to remove a reference to Tuxedo; bsu.cmd needed an increase in memory to the Java Heap. The registry.xml file also contains a reference to the server where it was installed. The script will change that value based on the new server’s name. The original files are backed up first and a .bkp extension is added to the file name. The script also copies jdk-1.7.0_79 to our e:\java folder. If you want the new java version in a different location, you can change the path in the file. Apply both WebLogic patches The patches we are applying resolve the December 2015 CVE with WebLogic. If you are using these scripts for future patches, you’ll want to update the patch ID’s in the script. Both patches are applied to WebLogic using the bsu command. The script assumes your patches are in the folder e:\patches\cve-2015-4852. NOTE: On one of our servers, the second patch stalled during the “Checking for Conflicts” step. If the script stalls for more than a few minutes, hit Cntl-C.
Start all web servers running on the server. Again, this looks for all Windows services that have *-PIA in the name and starts them. That’s it. The scripts are pretty simple, and you can write a wrapper script to run all the sub-scripts. That way you’d have one script to kick off. Or, you could add these into a tool like Rundeck to execute from a centralized place. Once you start down the path of scripting, many opportunities open up to speed up everyday tasks. Customizing the PeopleSoft signon page is common. Many organizations update the look to match their brand or style. Recently, I had to update the signon page for more than the look. We were upgrading two PeopleSoft systems and rebranding them into one enterprise application. There are two PeopleSoft systems, HR and Finance. To the end users it is called one name and wanted the appearance of one system. Behind the scenes the two applications are on different servers. Interaction Hub wasn’t an option. We also updated the look of the signon page. This is what the page looks like after the changes. We used Bootstrap for the layout and styling and made the page simple. It resizes well for small screens, and the buttons and text boxes are bigger. The bigger controls are better for mobile users. The first change was to add two buttons. One for HR and another for Finance. We modified the signon HTML table and changed the labels. But, you can’t have two submit buttons on a form where each button performs separate actions. We gave the “HR” button the submit type, and the Finance button was normal button. Grab the current URL in the address bar. Use the delivered code to build a login URL from the address bar (if needed, for deep links). If the deep link URL is blank use the default URL from the button. If the deep link URL has a value, compare the deep link URL with the default URL to make sure domains match. If the URL domains are the same, use the deep link URL. If the URL domains are different, use the default URL. When in doubt, we will log the user into the system for the button they clicked. The biggest issue here is for Finance users. Because HR is the default button (the “Enter” key), users forget to click the “Finance” button and get logged into HR. Not the best situation, but we set up the page to be simple the largest number of end-users. We also don’t want to assume that the deep link URL, if it exists, is correct. Let’s say the user started typing the part of the domain name in the browser and it auto-completed a URL. The browser might auto-complete a deep-link URL from a past session to Finance, but the user was only trying to log in to HR. Let’s look at the code. First up is the HTML for our new signon page – psadmin.html. We changed the name so that we don’t override the delivered signin.html file. If you read the whole script, you may have caught the backdoor key handler to use during maintenance. We wanted to use the page in all the environments (DEV, TST, etc), but we didn’t want to customize the HTML for each environment. PeopleSoft has a text.properties file that let’s you add text to an HTML file. For the URLs and environment specific text, we added values to the text.properties file and our HTML is the same on each web server. I also used a custom font from the Google Font API. This can slow down your load time, but we found a font that matched the style of the system’s new brand. Copy the psadmin.html file to PORTAL.war/WEB_INF/psftdocs/[domain]. Add the custom text and URLs to the text.properties file in PORTAL.war/WEB_INF/psftdocs/[domain]. Copy the *.css and *.js files to PORTAL.war/[domain]. While this scenario might not apply to many systems, I thought it would be fun to share. The entire project is hosted on GitHub. If you want to borrow any code, make improvements, or use it to start your own login page, please do so! The web server needs to accessible by the internet. The Let’s Encrypt site will validate that you own the server by checking for a specific file on the web server. Not all operating systems are supported, yet. Some web server’s have built-in support (IIS, Apache), but others do not (e.g, WebLogic). We can still generate certificates though, the automatic renewal won’t update the web server though. letsencrypt-win-simple command line client for Windows. Download the latest release from GitHub and extract the folder to a permanent location. No IIS bindings with host names were found. Please add one using IIS Manager. A host name and site path are required to verify domain ownership. Since we are not running IIS, we’ll generate a certificate manually. Enter the DNS name for your web server. Next, enter the root path for your web server. If you are running WebLogic, that will be PORTAL.war directory on your web server. Then, the Let’s Encrypt client will create a new file under PORTAL.war.well-knownacme-challenge. That file will be used to validate that you own the web server. WARNING: Unable to configure server software. Creating Task letsencrypt-win-simple httpsacme-v01.api.letsencrypt.org with Windows Task Scheduler at 9am every day. pskey file with the certificates. We’ll use Keystore Explorer to quickly generate the file. Open Keystore Explorer. (If it’s first time you’ve used it, follow the instructions to download the Unlimited Strength files). Create a new keystore file. Select the file type of “JKS”. Select “Tools > Import Key Pair”. 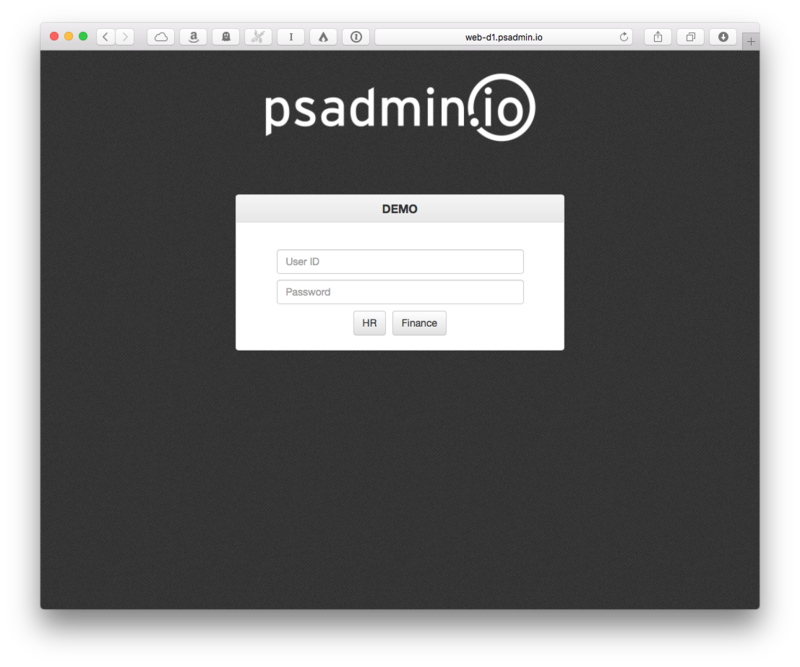 For the “OpenSSL Private Key File”, select the file hr.psadmin.io-key.pem. Enter an alias name that is descriptive. I used hr.psadmin.io-2015-12. Since the prive key was delivered without a password, we’ll want to enter one. Enter a password for the key pair. Now you have the private and public key for your DNS entry in the keystore. Next, we need to add the root (and intermediate) certificates so that a chain of trust is established. In Keystore Explorer in our new keystore file, right-click on our certificate. Select “Edit Certificate Chain > Append Certificate”. Select the file ca-GUID-crt.pem and click “Append”. Save the file, give the keystore a password, and name the file pskey-2015-12. pskey-2015-12, we need to copy the file to the web server and tell WebLogic to use the new file. The integrationGateway.properties file will need to know about the new keystore as well. Copy the pskey-2015-12 file to your web server directory %PS_CFG_HOME%\webserv\peoplesoft\pia\config\keystore. Log into the WebLogic console. Navigate to “Environment > Servers > PIA > Keystores”. Click the “Lock & Edit” button to allow editing. Click the “Change” button for the Keystores option. Select “Custom Identity and Custom Trust” and “Save”. In the “Custom Identity Keystore” box, change the file name to piaconfig/keystore/pskey-2015-12. In the “Custom Identity Keystore Passphrase” boxes, enter the keystore password you entered when saving the file in Keystore Explorer. In the “Custom Trust Keystore” box, change the file name to piaconfig/keystore/pskey-2015-12. In the “Custom Trust Keystore Passphrase” boxes, enter the keystore password you entered when saving the file in Keystore Explorer. Click Save. WebLogic will look at the new keystore file. Next, we need to tell WebLogic certificate it should serve to users. Click on the “SSL” tab. 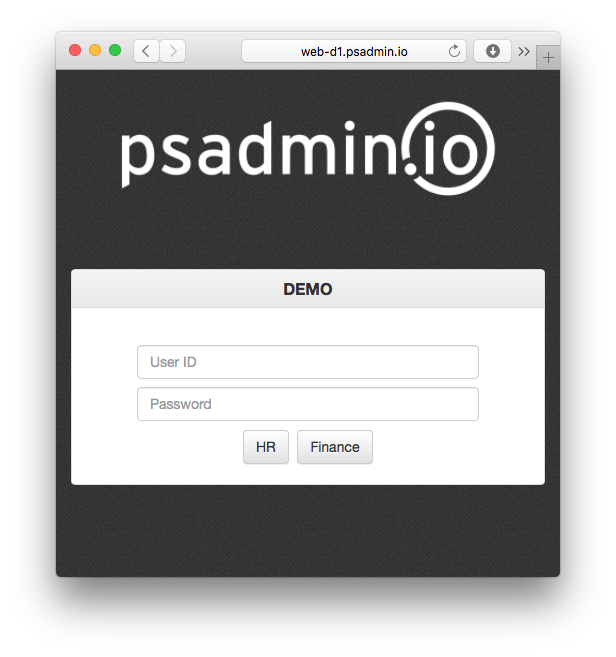 Change the “Private Key Alias” to hr.psadmin.io-2015-12. In the “Private Key Passphrase” boxes, enter the password you gave the hr-psadmin.io-2015-12 keypair. Click the “Activate Changes” button. Before we reboot the WebLogic domain, we need to update the integrationGateway.properties file. On your web server, open the integrationGateway.properties file under %PS_CFG_HOME%\webserv\peoplesoft\applications\peoplesoft\PSIGW.war\WEB-INF. Find the line secureFileKeystorePath and change file name to pskey-2015-12. If the password you gave the keystore is different than the previous file, you’ll need to update that parameter in the file. Open a command prompt and go to %PS_CFG_HOME%\webserv\peoplesoft\bin. Run the command setEnv.cmd to set the environment variables. Go to the folder piabin. Run the command PSCipher to get the encrypted text. As WebLogic is starting up, make sure to check the logs to verify that the server started with your new certificate. Once the server has started, open a browser and go test the site. You should see a secure connection in the browser to your site. With the recent attacks on SSL, WebLogic and Java, I wanted to give an overview on how you patch Java for your WebLogic instances. When you install WebLogic, it asks you for the location of your Java Home. Then, every web server instance you create uses that Java Home. Unless you have patched Java in the past, all of the WebLogic instances on that server will be using the old Java Home. Go to Oracle’s Java Download page and download the latest JDK. Make sure to select the correct codeline that your version of PeopleTools supports. PeopleTools 8.53-8.55 support Java 1.7 (aka Java 7). It will implicity support any patch on the 1.7 codeline. So, you can install the latest 1.7.0_xx patch and use it with WebLogic and PeopleTools. Install the new JDK (you don’t need the JRE) to a common location. We use the folder convention e:javajdk-1.7.0_xx to install the JDK. By default, the Java Home parameter is set in the %WL_HOME%commEnv script. This script configures environment variables that are common to all WebLogic instances on the server. You can update the JAVA_HOME in the commEnv script, but it will affect ALL the WebLogic instances on that machine. This might be what you are looking for. But, if you run more that one web server you might want to try the next option. @REM JAVA_HOME is set via commEnv.sh, to override set it here. Now, you can patch your Demo environment and test without affecting other web servers on the server. If you are on Windows and installed a service for your web server, you will need to change the JAVA_HOME value for the service. You could re-create the service but there is an easier way. Under this registry folder, you’ll see a Key name “JavaHome”. Update the value’s path to match your new JAVA_HOME. Restart the service for the change to take affect. Patching Java for WebLogic is pretty simple. The next step (and upcoming blog post) will be to script these changes, and WebLogic patches, so you can automate your web server patching. Oracle has released a patch for the latest CVE against WebLogic, so I wanted to walk though the steps to apply the patch to WebLogic and show how to use Smart Update. Smart Update is the utility used by WebLogic to apply patches to your installation. UPDATE 12/8/2015 Thanks to Matt Tremblay for pointing out, WebLogic 12.1.2+ is now using OPatch for WebLogic patching. Look for an second WebLogic patching post soon about using OPatch with WebLogic. Version 3.3.0 is the latest version and is included with WebLogic 10.3.5 and later. If you launch Smart Update and find that its an older version, go grab version 3.3.0 (Patch 12426828). The first time you run Smart Update, it may ask you to provide a %BEA_HOME% path. Give the path to your BEA Home (e.g, e:oracle). If you receive an error: “Unable to locate any supported product installations” or “The BEA Home directory selected does not contain any supported patch targets”, check out MOS Documents 946541.1 or 1063605.1 for the fix. In the Smart Update window, you will see the installed applications in the left pane. Make sure “WebLogic” is selected. On the right, the top pane shows you patches that have been applied. The lower pane displays patches in your download directory that are waiting to be applied. By default, Smart Update will look for patches under %BEA_HOME%utilsbsucache_dir for patches. To start Smart update and have it look at a different path, use the -patch_download_dir=[path] flag or select File > Preferences to change the directory. To apply a patch, click the green arrow in the “Downloaded Patches” pane for the patch. Smart Update will check for patch conflicts and the apply the patch. You can also run Smart Update from the command line. This is great when you have multiple servers to patch. Running bsu.cmd -help will give you all the options you need when scripting. Since we have new patches to fix CVE-2015-4852 (T3/Java Deserialization), let’s use those as our example. Go to this page to find the applicable patch (or patches if you are on 10.3.6) to apply. Download the patches you need and unzip them. Copy the .jar and .xml files from the patch folders to your web server. I put the patch files under e:patchescve-2015-4852 on the web server. We will tell Smart Update to use this directory. (Since we are running WebLogic 10.3.6, there are two patches to install in our example.). Before you apply any patches, make sure to stop any web servers running on the server. If don’t, Smart Update won’t be able to patch .jar files that are in use. The output shows that we have applied the 10.3.6.0.12 and CVE patch. Now, restart all your web servers and start testing! A standard requirement when doing PeopleSoft maintenance is to change the normal sign in page. When the system is offline, we often like to display a maintenance page that informs users that the system will be down and prevents them from logging in. This is done easily enough by changing the signin.html page, adding a message and removing the login form. However, there is one more requirement that is a little tricky. Once the maintenance is complete, there are often tasks that need to be completed before handing the system back to the end users. These can be configuration changes, running batch processes or simply completing validation that everything was applied correctly and is in working order. How can the core team sign on to the system and complete these tasks, all while preventing end user access? Keep in mind the key doesn’t have to be Ctrl+Space, it can be any key combination really.You will see in the comments of the script a link to information about other keycodes that can be used. Instead of hard coding a true value for your hideLogin() parameter, why not use a Custom Property set in the Web Profile? You can create any Custom Property you would like, for example: login.isLoginHidden and set to true. Then reference the property in your signin.hmtl page like this: hideLogin("<%=login.isLoginHidden%>"). This will allow you to toggle the hide login functionality by updating the web profile and bouncing the server. Click here to see a working demo. Enjoy! In episode 3 of The PeopleSoft Administrator Podcast, Dan and Kyle talk about HTTPS. We discuss what HTTPS is and how to implement HTTPS with WebLogic. Dan shares how to mitigate against the newer SSL attacks, and tips and tricks to help manage certificates and simplify configuring HTTPS. We also review some of our PeopleTools 8.55 predictions after the OpenWorld presentations were released.